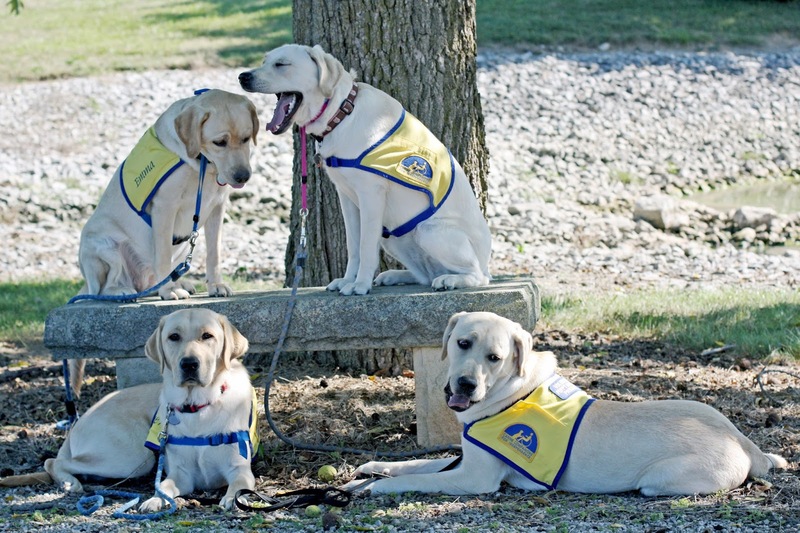 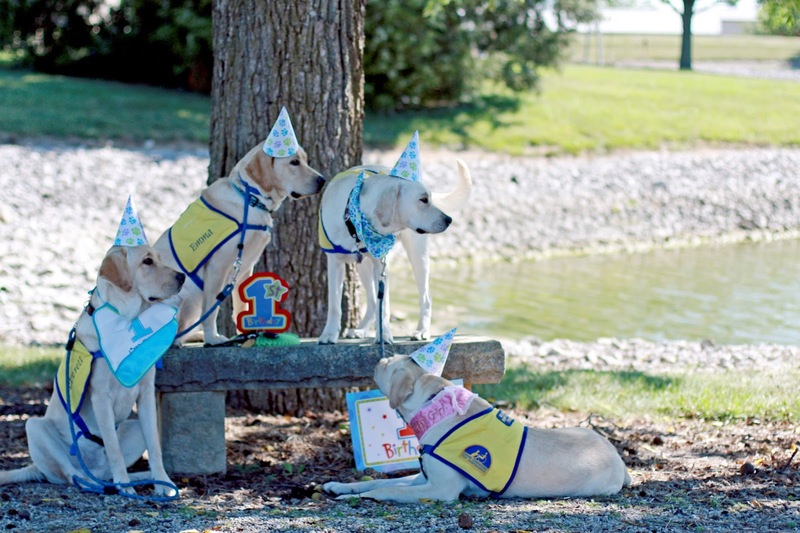 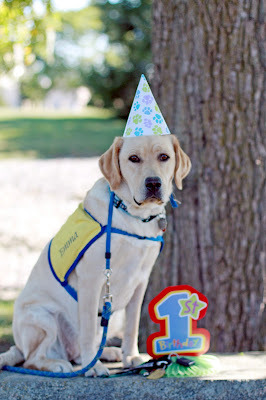 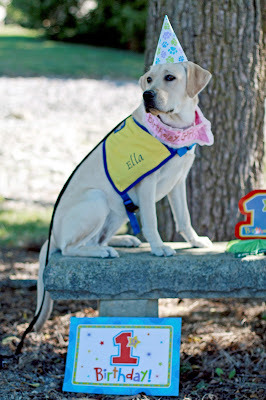 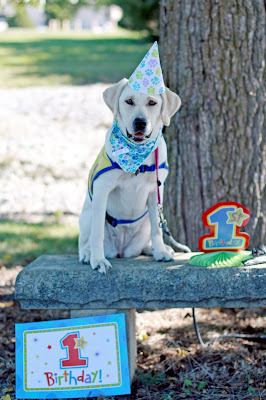 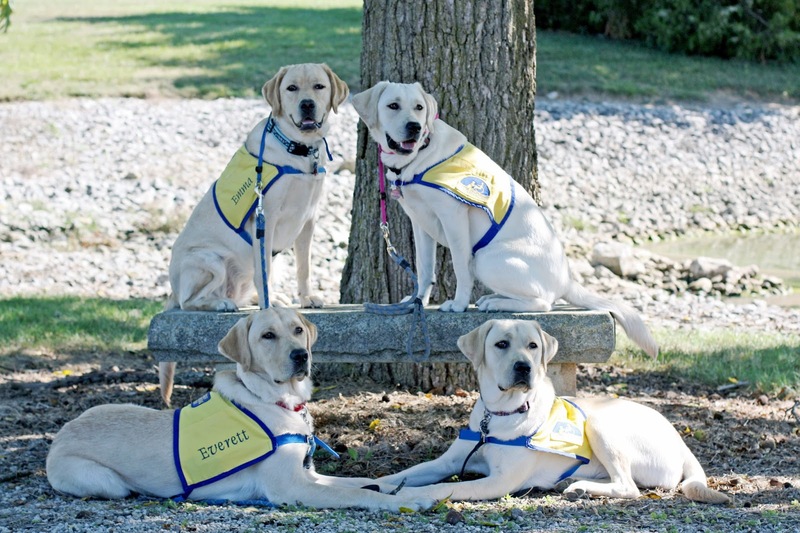 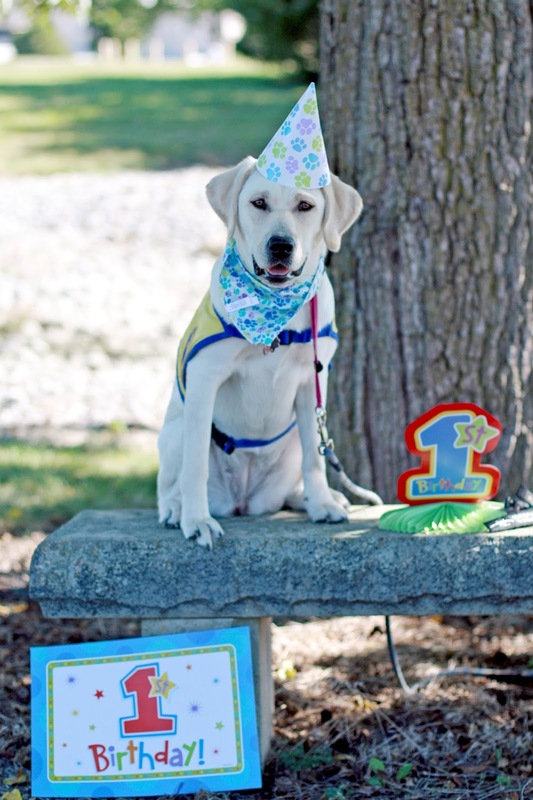 The Ohio E's of the Canine Companions for Independence celebrated their first birthday on September 14, 2013. 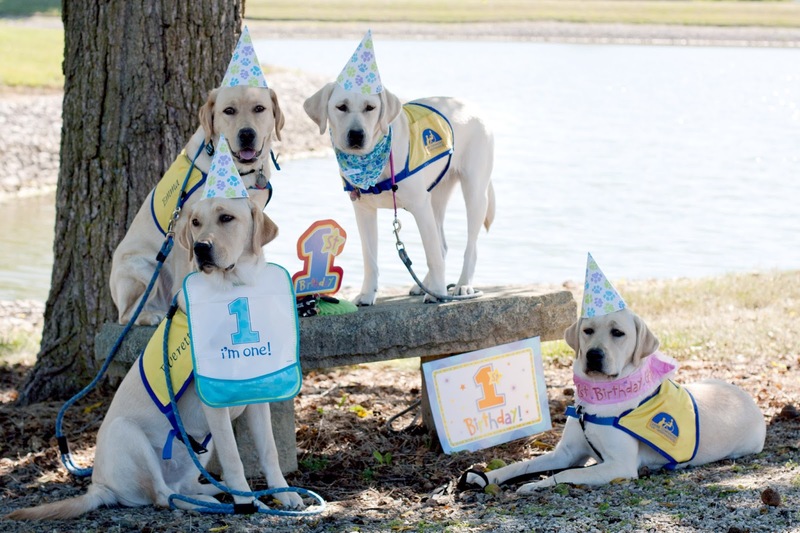 We've gotcha some photos of these amazing dogs on their special day for y'all to enjoy. 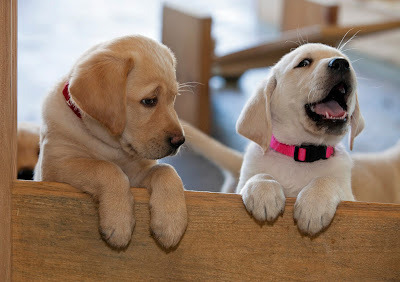 Let's start with a shot of our cutie patooties at 8-weeks old, shall we? Then fasten your seatbelts for a fast forward another ten months to their one-year birthday. 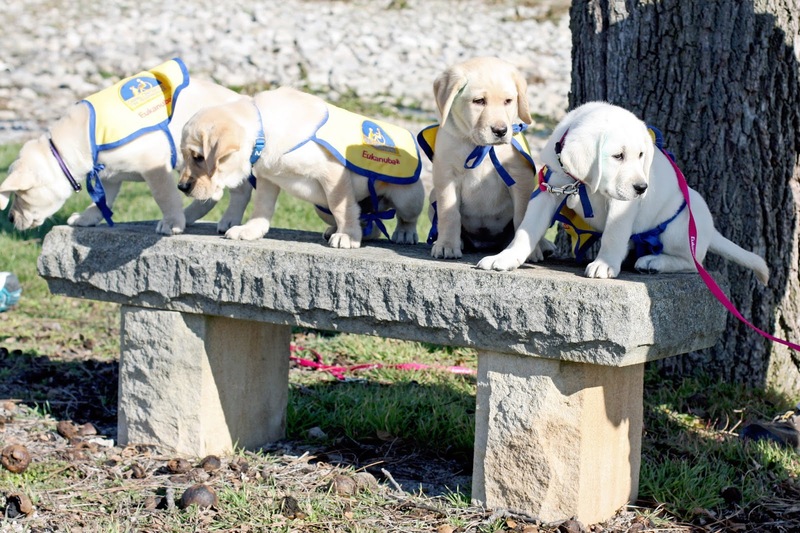 Same cuties, same stone bench. 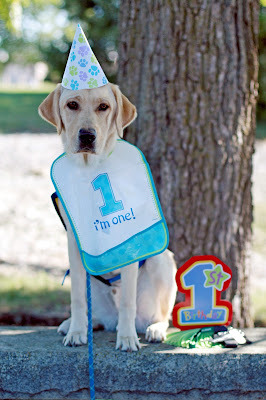 Ok, back in time again. Here's Emma and Euka at their breeder caretaker's house before they came to Ohio. 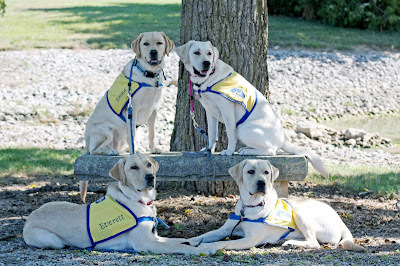 Emma looks a bit distressed at Euka's antics, right? Then we have some close ups of our Ohio E's on their special day. Wishing a very happy first birthday, our extraordinary E's.